As Halloween has been over two weeks ago and we still have a mountain of the vegetable left over i've been trying my hand at making different pumpkin recipes. I've previously shared my baking adventure using leftover grated pumpkin to make Indian Dahl burgers as well as making a large quantity of pumpkin cream soup but for this bake I wanted to make something sweet so attempted a winter spiced loaf. With a combination of grated pumpkin, honey and melted butter this was added to dry ingredients of flour sugar and spices including cinnamon and ginger. Mixed together and added to a loaf tin this was then cooked low and slow to produce my winter loaf. Although my loaf looked nice this wasn't as much of a success as i had hoped and the bread felt quite wet and underbaked. 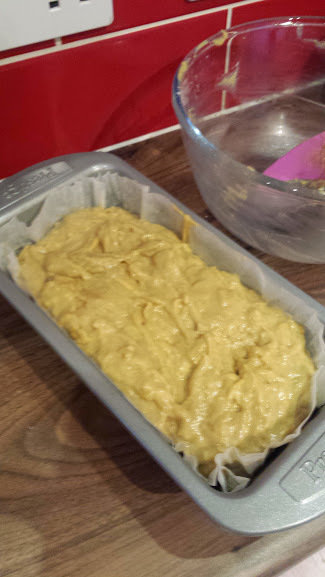 I think If i try the recipe again I will squeeze a lot of the water out of the pumpkin as the loaf was quite heavy, My baking is definitely a learning curve with some recipe's that work and some than don't. It took me about 5 different recipes before I found one for banana loaf that worked and all previous attempts turned out raw, or heavy or just pure inedible. 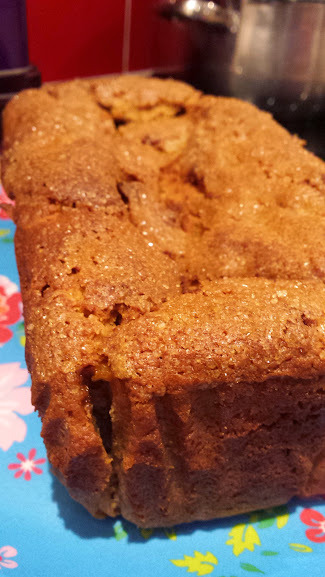 Now that I have perfected my banana loaf it is time to perfect my pumpkin loaf. Although I might just have to wait until next years Halloween before I have spare pumpkin to give this recipe another go. Where's good to go cycling in Cornwall? ?